David D.Downie » Eiffel Tower bomb: Does Life Follow Art? Eiffel Tower bomb: Does Life Follow Art? The Eiffel Tower is under threat. 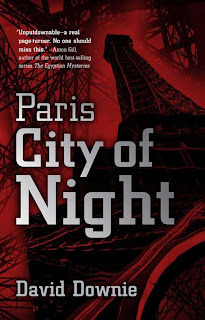 An attack on the tower was foreshadowed in Paris City of Night, my thriller, published in 2009. So let’s hope life does not follow art. Of course, as I’ve noted before in this blog, plots to attack the tower are not new. Here’s the cover of the book, and the back-cover copy.